Figs have been in my consciousness lately. 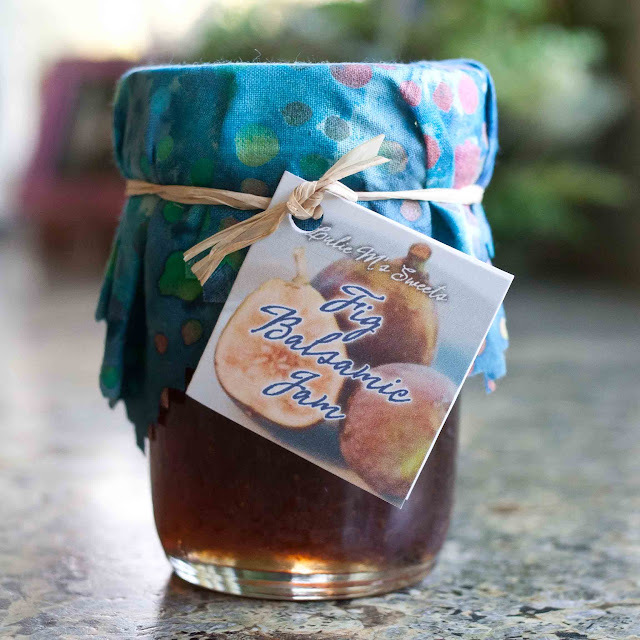 My neighbor has an awesome fig tree that he generously shares with us, some of you may have caught my blog post, Tree Ripened Figs! 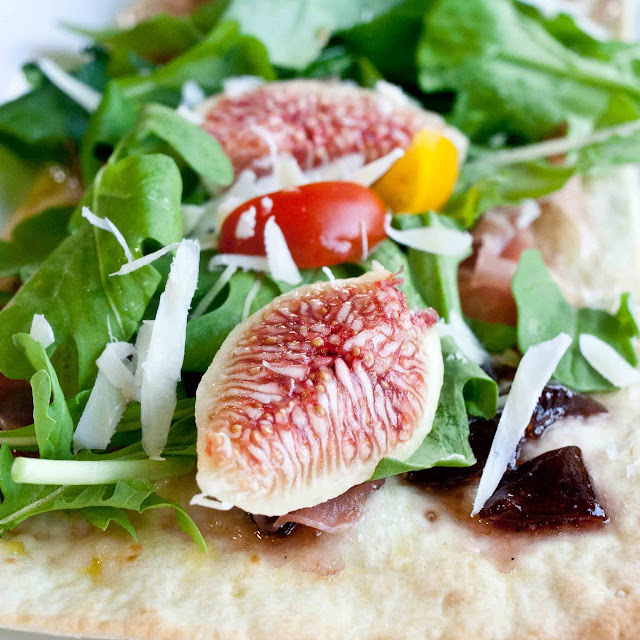 My friend Laura came over last week talking all about fig jam, I received an email from another friend yesterday with a detailed description of her favorite fig pizza--and of course, The Pioneer Woman made Fig-Prosciutto Pizza with Arugula on her new Food Network show--so I had to make some too! My husband loved this pizza. He actually raved about it--saying it's healthy, light, tasty, filling and so delicious--then later in the evening, he ate a couple more pieces! 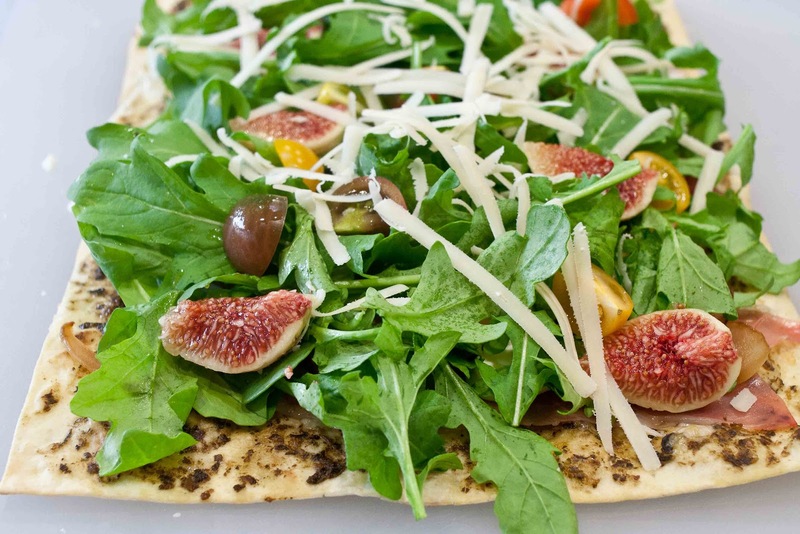 Thin crust pizza is my favorite, so for this pizza, I used lavash bread. It was fun to make these pizzas. I made 3, with different flavors in the 'sauce' next to the crust--fig jam, pesto, and cream cheese. Try different combinations until you find your favorites. 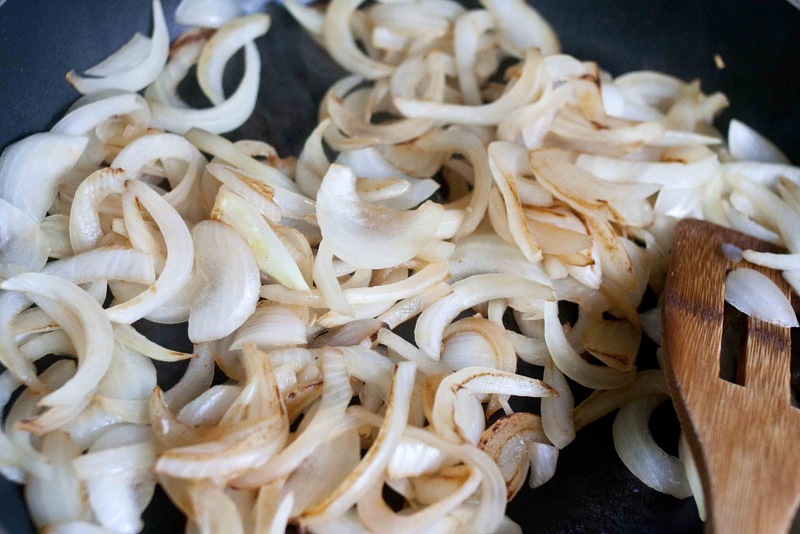 The first thing I did was slice and start the onions to caramelize. I simply put them in a pan over medium heat and cooked them until they were wilted and browned. They're cooked about halfway in this picture, I got too excited about the pizza and forgot to take the onions' final shot. 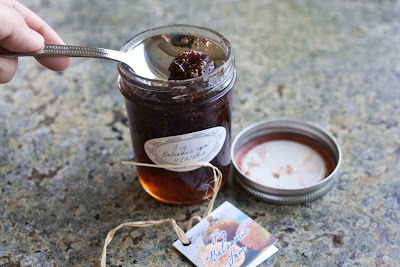 My friend Laura made this jam. It's really good, it's got a hint of balsamic vinegar in it. 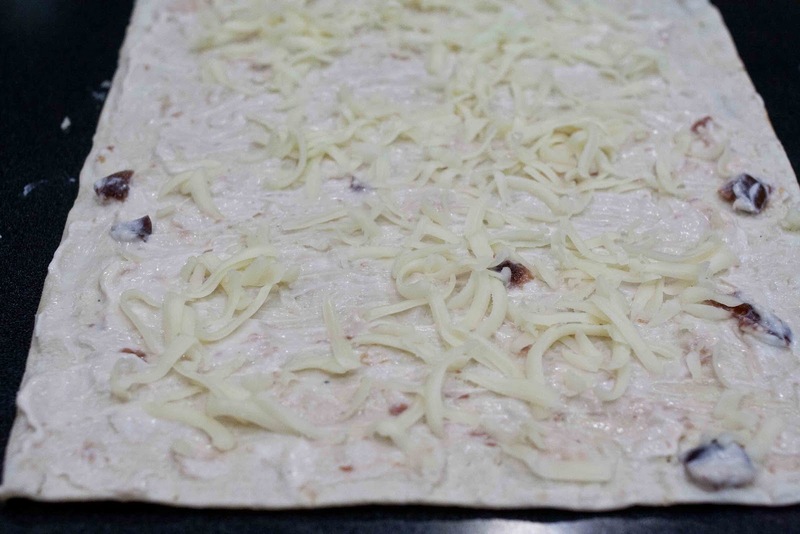 For the first pizza, I cut the lavash in half, but I left the other ones whole, which makes the assembly much easier. Put the lavash on a baking sheet. 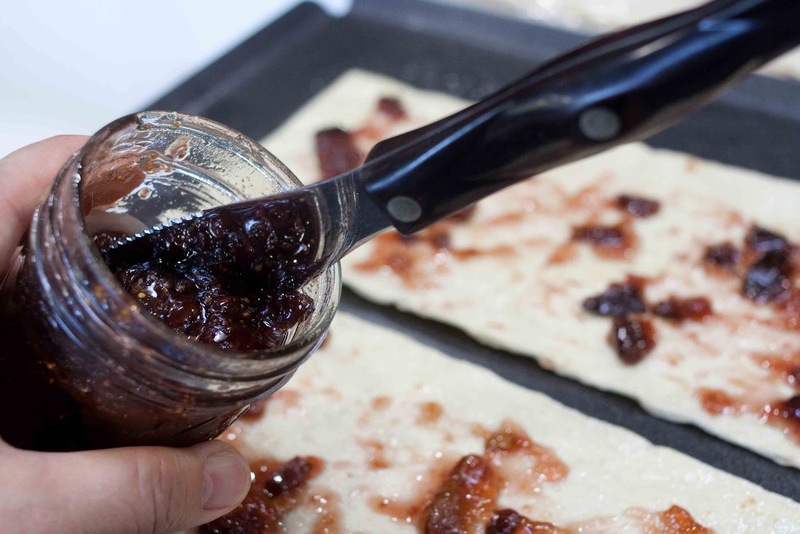 Spread a thin layer of olive oil on the lavash, then spread a little bit of jam on top. Sprinkle a pinch of salt to off-set the sweetness of the jam. Then sprinkle a bit of mozzarella cheese on top and bake for 5 minutes at 400ºF, or until the cheese is melted and the lavash is crispy. The next time I make this I am going to use about half the amount of jam--it was a little too sweet for me, but my husband liked it. 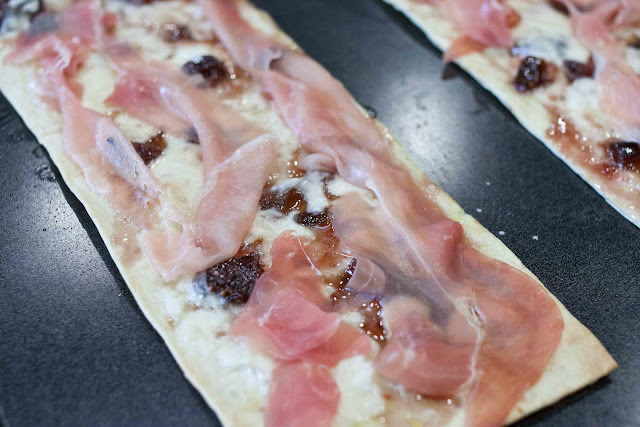 After it comes out of the oven spread prosciutto on top. 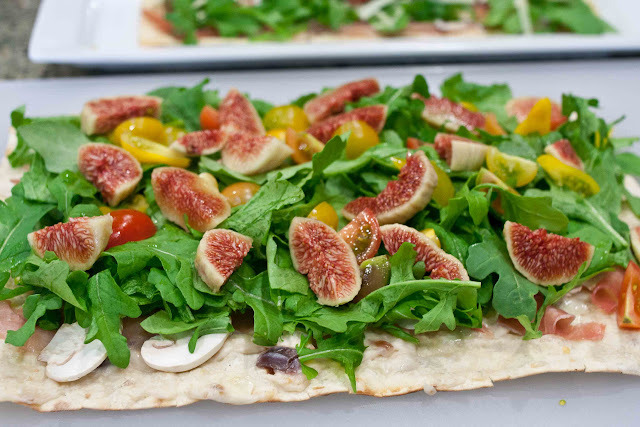 Then add sliced mushrooms, a generous handful or two of arugula, a sprinkling of the quartered cherry tomatoes and the sliced figs, then grate a little gruyere over the top. The second one I made I spread with a thin layer of pesto sauce. 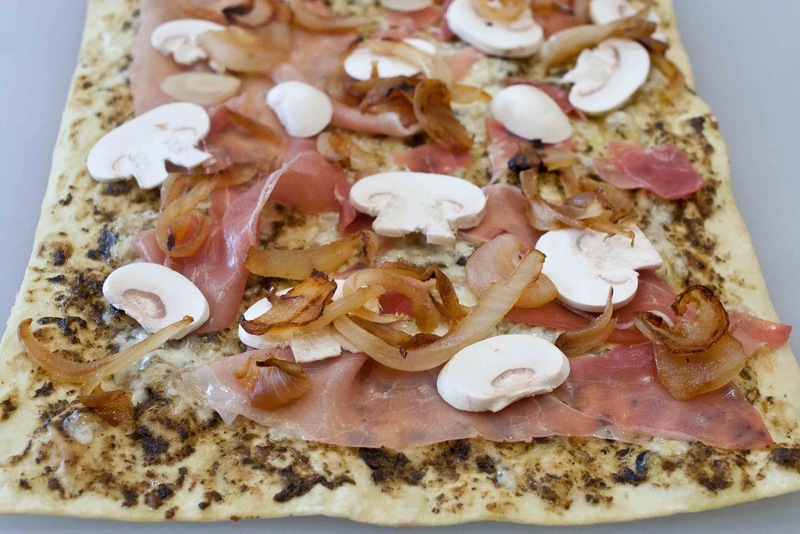 When it came out of the oven I added the prosciutto. Then some mushrooms and onions. 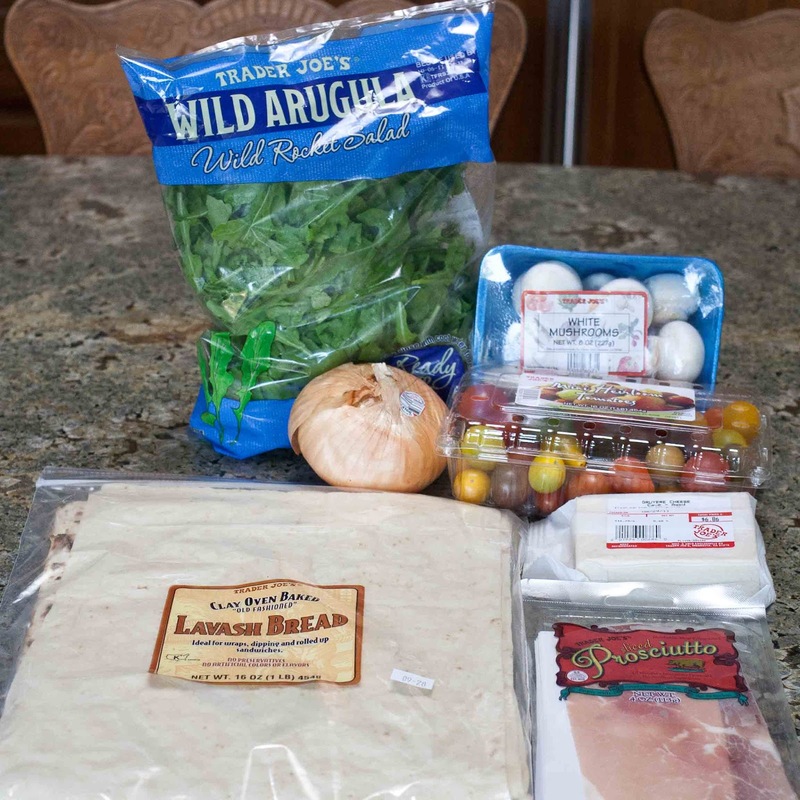 Then the rest of the ingredients. 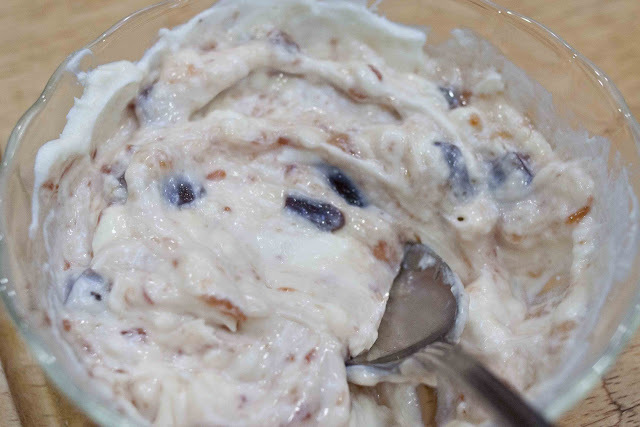 I think a sprinkling of chopped kalamata olives would be good. 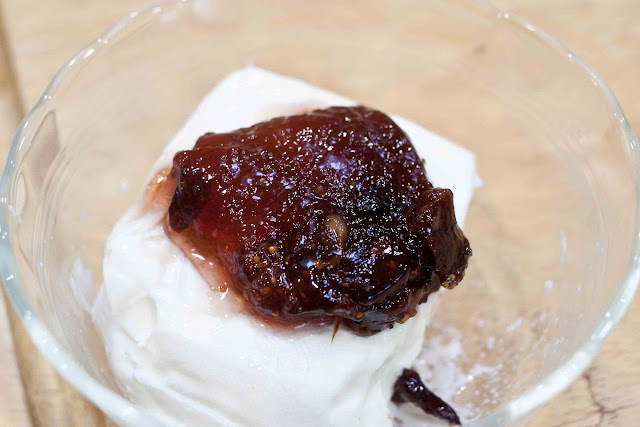 But then I wondered if it would be good with cream cheese and fig jam, so I softened 4 ounces of cream cheese and added a dollop of fig jam. 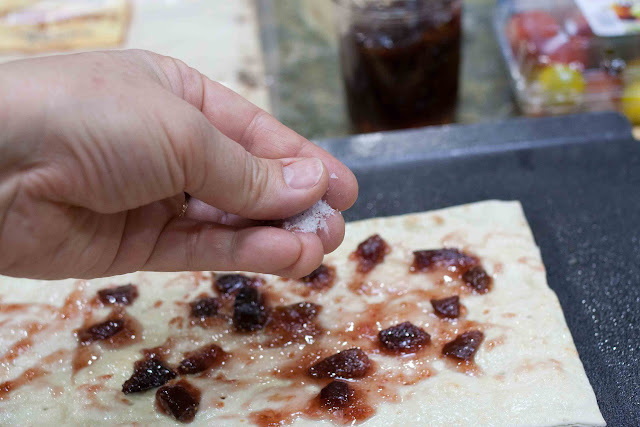 Mix well and spread a thin layer on the lavash. Add a little bit of mozzarella and bake. 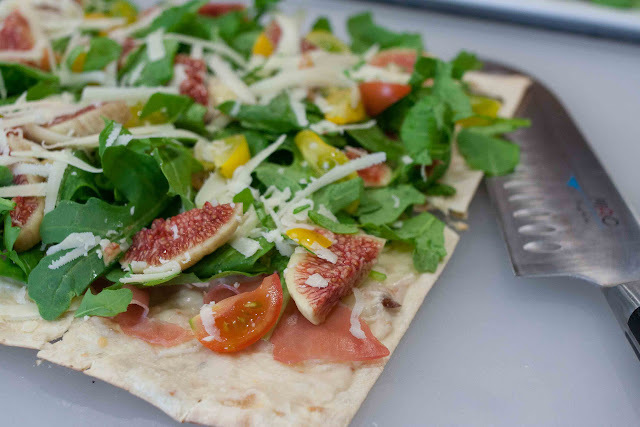 Then add the other toppings. 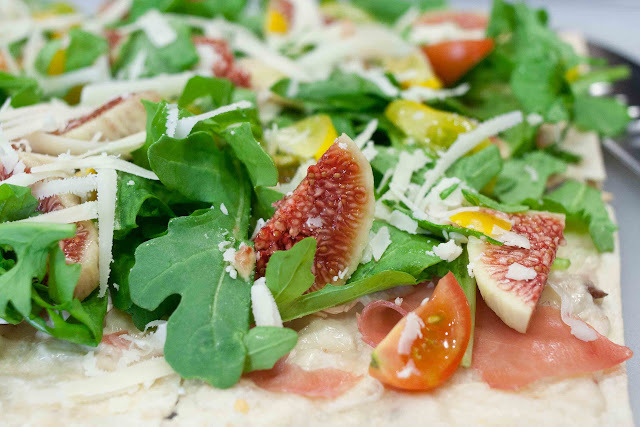 The topping combinations are endless! I cut the lavash into 6 pieces. This is our friend Bryan. 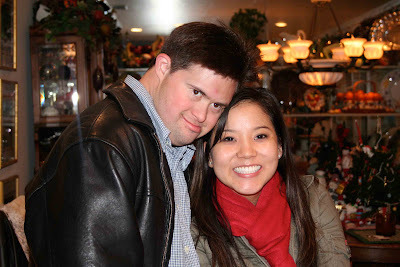 Bryan is Rick & Sue's oldest son and Bobby's brother. 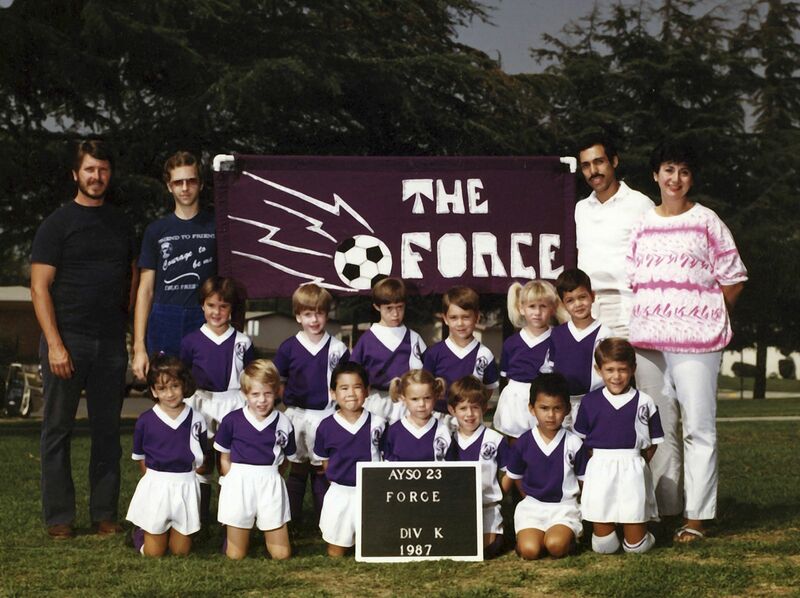 My son Rick played soccer with Bryan and Bobby on The Force. 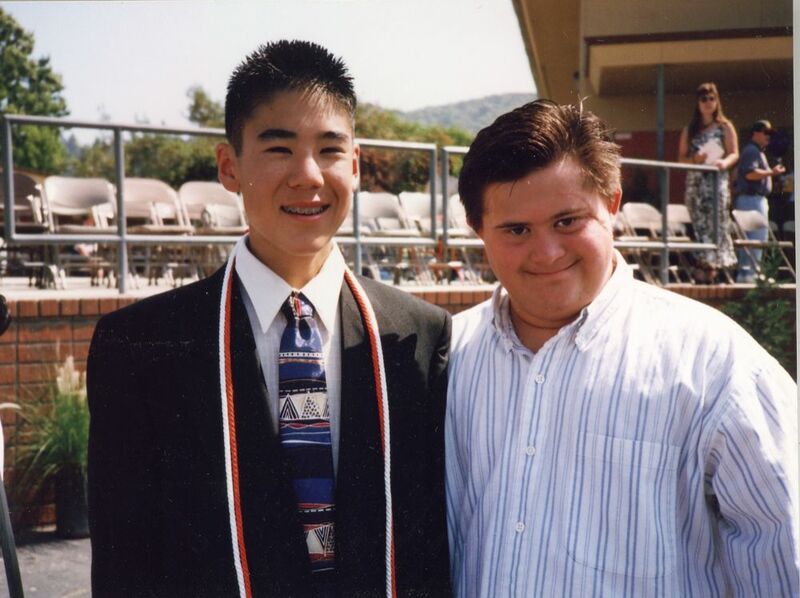 When Rick was in 6th grade, he was a head shorter than Bryan. By 8th grade, Rick was on his way to being a head taller--and the day that Rick grew taller than Bryan, there wasn't anyone happier than Bryan. Bryan celebrates everyone's achievements whole-heartedly and enthusiastically. Bryan was a groomsman in Bird's wedding. 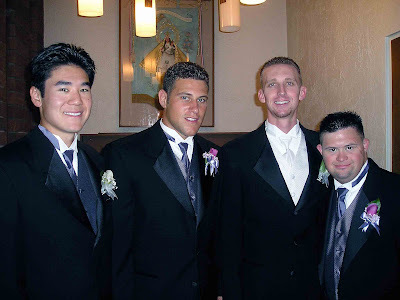 Bryan was Best Man in Bobby's wedding. 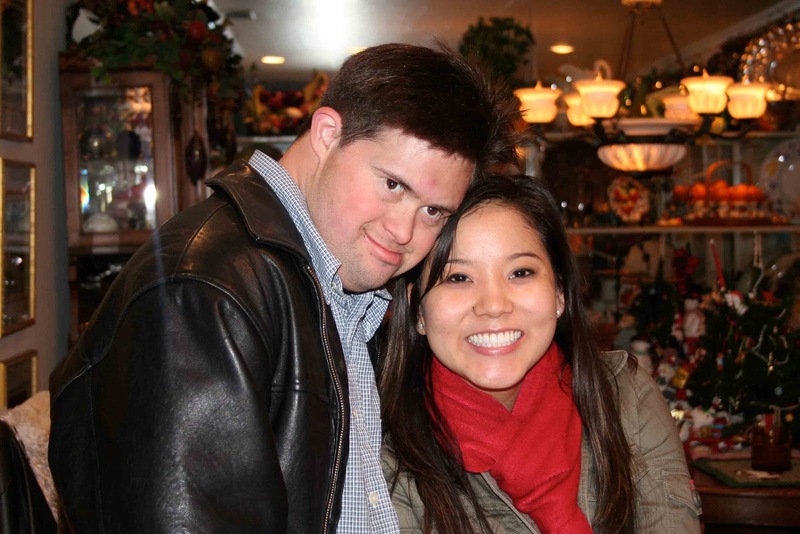 And he loves to have his picture taken with Karen. Bryan also loves the television show Smallville. 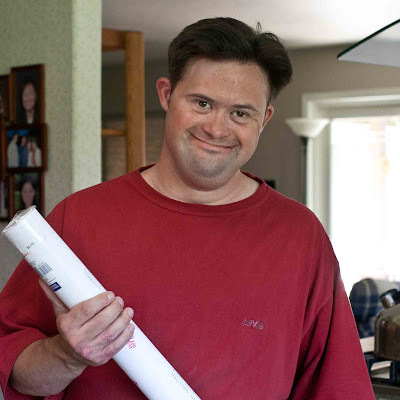 When my cousin Bruce asked me if Bryan might like a Smallville poster, I sent Bruce Bryan's address, but Bruce sent the poster to me so I could watch Bryan's face as he opened it. I videoed it so Bruce could see Bryan's face too. Bryan is the best gift-getter I know. 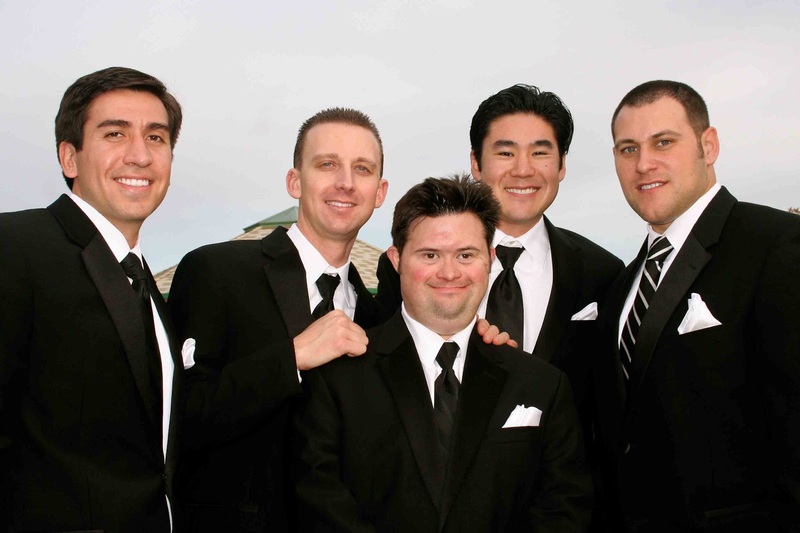 A big thank you to Bruce Honda--how thoughtful of you to remember Bryan! 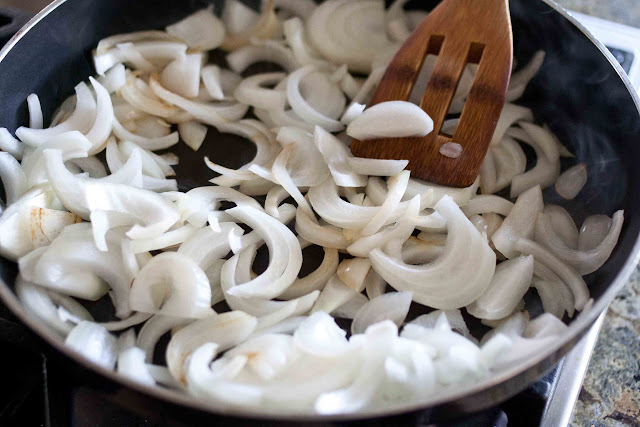 Put the sliced onions in a frying pan over medium heat to caramelize, stirring occasionally and lowering heat as necessary so they brown, not burn. Remove from heat when they are soft and brown. 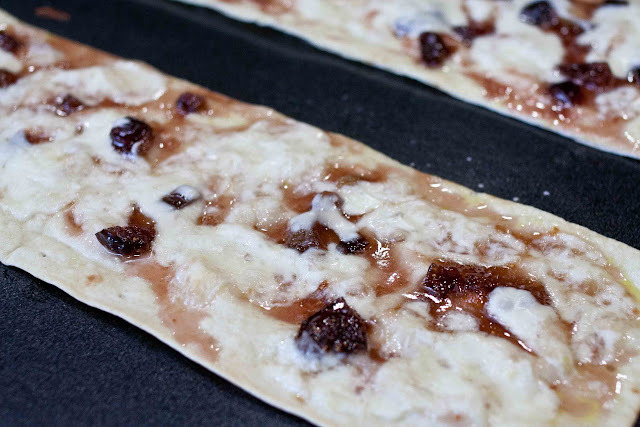 With the lavash on a baking sheet, heat the oven to 400ºF. 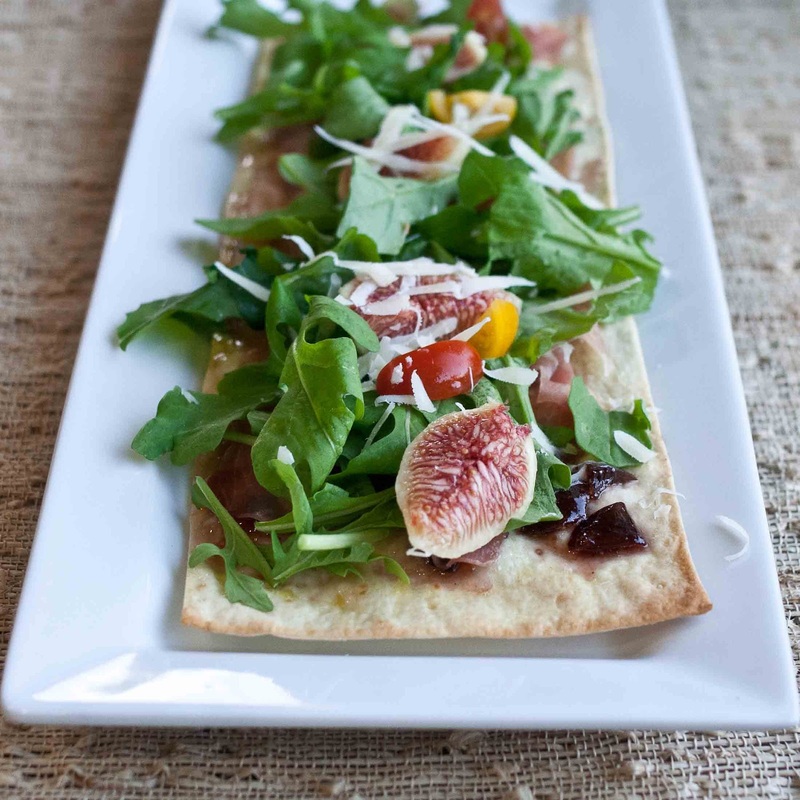 Spread a thin layer of fig jam, pesto sauce or a mixture of cream cheese and fig jam on the lavash. 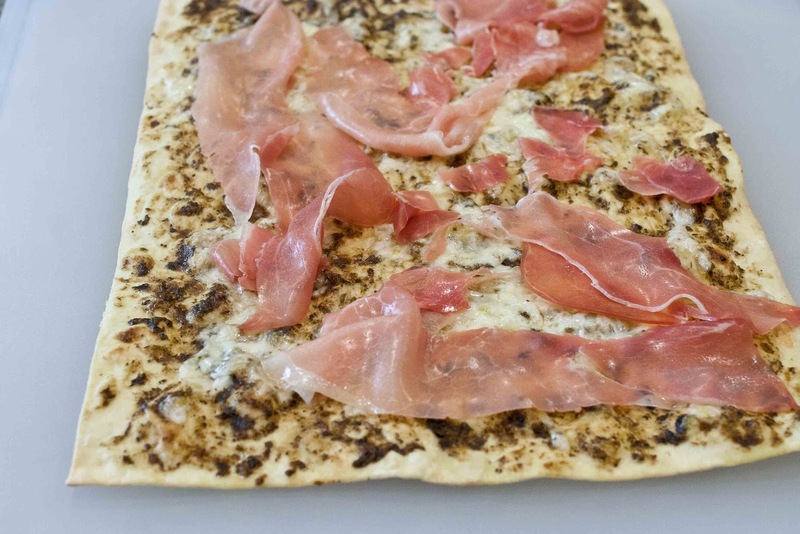 Top with mozzarella cheese and bake for about 5 to 7 minutes on the bottom oven rack--until lavash is crispy and cheese is melted. 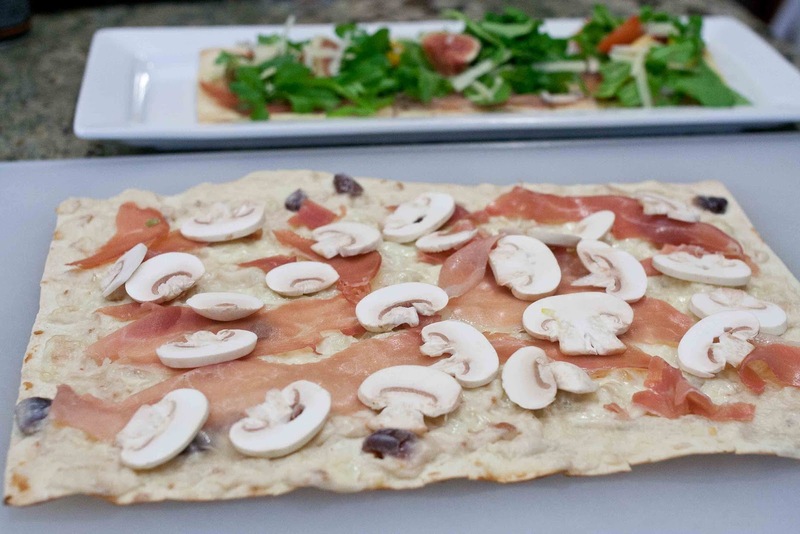 Remove lavash from oven and top with prosciutto slices, sliced mushrooms, quartered cherry tomatoes, caramelized onions and generous handfuls of arugula. Add the fresh figs and sprinkle grated gruyere on top. Thank you, Karolyn! 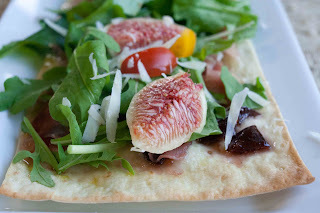 :) I very much enjoyed the lunch - that Fig & Arugula Lavash Pizza. It was more than delicious!!!!!!!!!!!!!!!!!! Oh, if I could just live next door to you, I'd be at you door everyday with an empty plate in hand. Thank you for your patience at "trying" to teach me to cook. I had a very good time just watching and chatting with you. I like the video of Bryan opening up the poster. That big smile....heartwarming. I cant see the video :( But look yummy! I have never had fig before!